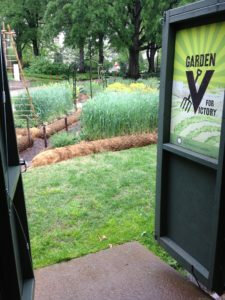 On the east lawn of the National Museum of American History is the Smithsonian Gardens’ Victory Garden, so named for the vegetable gardens planted during the early 20th century to to encourage every man, woman, and child to contribute to the national food supply during the first and second world wars. Especially prevalent during World War II, victory gardens brought communities together through the common goal of growing food to offset government food rations. This Victory Garden is an extension of the “Within These Walls” exhibit. This exhibit, which can be found on the second floor of the museum, tells the story of all the inhabitants of a New England house originally built in the 1700s. A woman named Mary Scott and her family lived in the house during World War II, contributing to the American war effort through service, rationing and their victory garden. 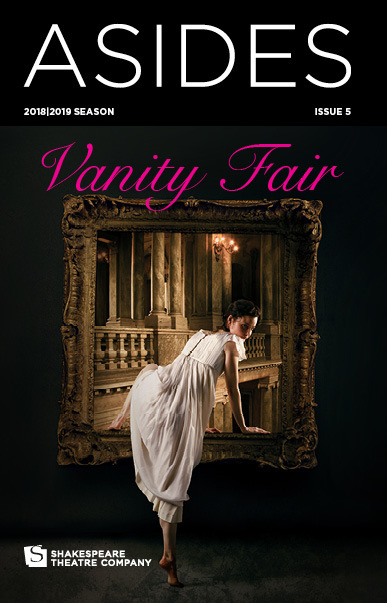 While not a copy of the planting style of that garden, all of the plants used in planning the garden are heirlooms from the 1940’s, when the Scotts were tending their own garden—some even date back to before Shakespeare. 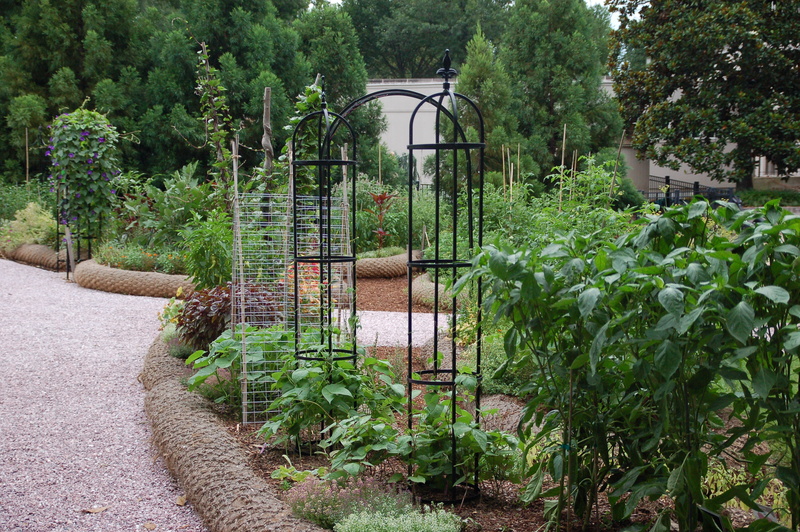 All sorts of vegetables, fruits and herbs grow in the garden. 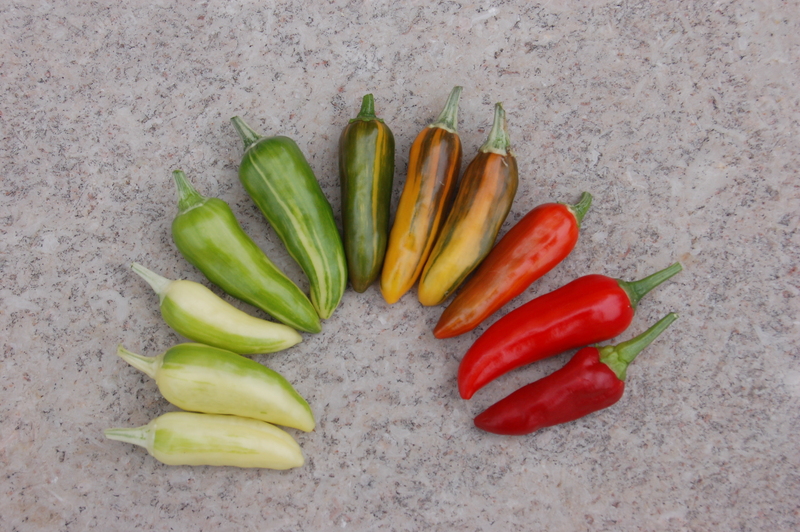 The ‘Fish’ pepper, believed to be a mutation of the Serrano pepper, was almost lost in history when communities who had previously used the pepper in its white developmental stage to add a kick to cream sauces all but stopped saving seeds of the fruit. 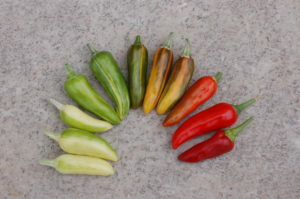 Thankfully, heirlooms genetics like in the ‘Fish’ pepper are preserved in their seeds. Thanks to “seed savers” like the veteran from the D.C. area who passed along his family’s ‘Fish’ pepper seeds, seeds that were once obscure are now readily available in local stores. But it’s not all spicy peppers in the victory garden—in a historic moment for the garden, the watermelon patch yielded fruit for the first time this year. Nowadays most of the garden’s produce goes to local wildlife—as well as to the head chef of the Stars & Stripes Café inside the museum—but the gardeners’ organic growing methods serve as a guide to both large and small scale produce growing. This garden practices companion crop growing, or the planting of different crops to repel pests and to provide a habitat for beneficial insects, such as ladybeetles, praying mantes and predatory wasps, to name a few. These efforts increase crop productivity while at the same time requiring less fertilizers and pest control. While the garden is somewhat concealed from the road, recurrent visitors to the museum grounds have adopted the Victory Garden as their favorite summer spot—leafy green woodland provides nicely cooled locations for a warm-weather picnic and the gardens are dotted with benches for a brief respite. It has especially become a frequented location for Environmental Protection Agency workers and other nearby office employees to lunch in warmer weather. It’s the perfect place to relax and smell the lovely fragrances of all of the garden’s produce, just remember to “touch but don’t pick” so everyone can enjoy!